Communities - Franklin County Economic Development Corp.
Franklin County communities are home to nearly 40,000 inhabitants who reside primarily in six small cities and eight villages spread throughout 412 square miles. Life in Franklin County, however, is difficult to define in a series of statistics. Residents enjoy working, learning, shopping, and living in the heart of Southern Illinois, one of the Midwest’s most scenic regions. The small-town atmosphere that city planners strain to capture in development projects across America is authentic in Franklin County. Farms roll out across the landscape, stopping at the edge of small towns featuring historic main streets, town squares, and well-maintained residential neighborhoods. Residents and visitors alike enjoy an area that features antique shops, museums, galleries, unique restaurants, and wineries. Outdoor recreation includes boating, golfing, fishing, hunting, hiking, horseback riding, swimming, and water skiing. 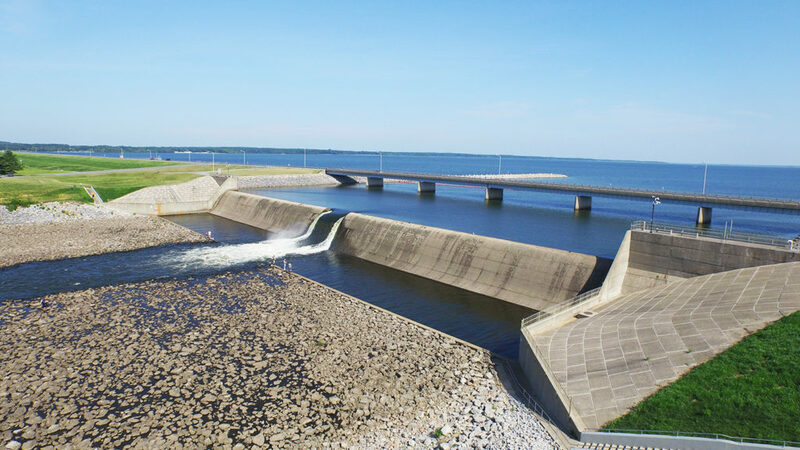 Rend Lake Dam creates a 19,000 acre lake for an abundance of outdoor recreation managed by the US Army Corps of Engineers.